Welcome to the website dedicated to the Feldmunitionlager 1106. "Best seen in 1280 x 1024"
LEOPOLD was the code name given to the V1 underground supply depot situated in the caves near the small French town Saint Leu d'Esserent. This town is seated on the banks of the river Oise in the department of the same name. On the following pages, there are many links to other sources, books, film and documents which over the years I have collected. Being such a huge subject I shall present the reader with a individual page for each topic. A lot of cross reference is to be had and can become confusing at first. 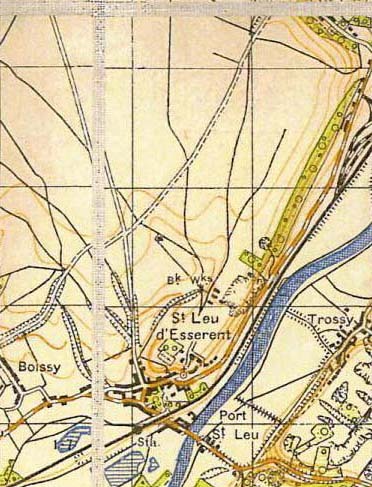 Focus is mainly on Saint Leu d'Esserent LEOPOLD however, Saint Maximin (Trossy) MARTHA, a town situaded on the opposite bank was also part of the V1 supply structure in the Oise region as well as other small towns in France. These all interlink and throughout the following pages the reader shall be presented with topics concerning these places. A good place to start is by looking at the maps below to become a custom to the area of operations. The site shall try and provide a better picture of the V1 supply depot, RAF bombing raids, the SOE operations, local events which during the war all played a part in stopping the supply of the launch sites and finally the end of the V1 flying bombs destened for England. I shall try and share as much information as possible but if anybody has family members or friends who played a part in the operations on either side I would be very pleased to here from you. Please follow the links either in the text or at the end of each page to find out more concerning each topic. 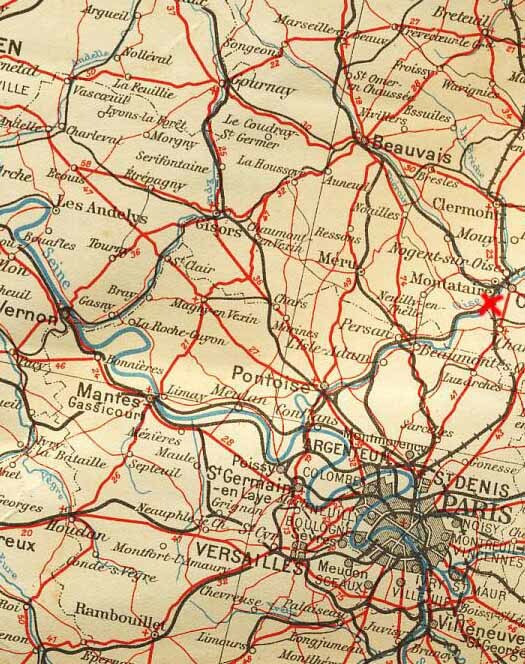 This period map shows the area concerned and where Saint Leu d'Esserent is. The rollover picture show a map of the area in 1940 and a recon photo used by the RAF. The recon photo pinpoints the different objectives for the bombing raids.